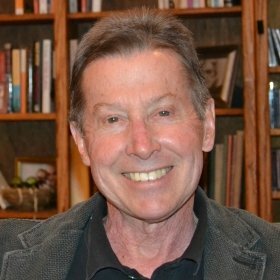 Robert H. Tinker, Ph.D has been a licensed psychologist in private practice for the past 35 years, specializing in EMDR (Eye Movement Desensitization and Reprocessing) treatment for adults and children, family and marriage therapy, phantom limb and pain memories, and motor vehicle accident treatment. He is senior author with his late wife, Sandra A. Tinker-Wilson, Ph.D. of Through the Eyes of a Child, EMDR with Children. Drs. Tinker and Wilson were co-trainers for EMDR Child Trainers in Europe and taught EMDR to therapists around the world to work with children. Between the years 1995 and 2009, trainings were conducted in countries including Canada, China, England, France, Germany, Italy, Japan, Mexico, the Netherlands, Norway, Rwanda, Scotland, Switzerland, and the United States. Dr. Tinker is co-author and clinical director of several published EMDR research articles (JCCP 95, 97, IJSM 2001). Dr. Tinker is currently working on a book with the working title of EMDR: Cutting Edge Cases in Neuroscience. Dr. Tinker has worked on numerous humanitarian projects with the EMDR Institute and the Spencer Curtis Foundation, Inc. (SCF): a 501(C)3 non-profit organization. He is currently founder and trainer with the Tinker-Wilson EMDR Institute (a div. of SCF) in Colorado Springs, Colorado and has conducted trainings with Dr. Wilson over the past decade. Dr. Tinker is a renowned and frequent keynote speaker and media spokesperson as an EMDR Ambassador.